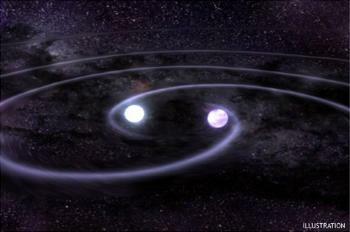 The pair of white dwarfs is the narrowest known double star and one of the strongest sources for gravitational waves in our Milky Way. Each year the orbit period decreases for 1.2 milliseconds and the distance gets half a meter less. So the stars will crash together in several hundred thousand years.